“What I retained from Refus Global is the desire to conquer and affirm Freedom – my own and others’.” Marcel Barbeau, interview with Ninon Gauthier for L’Action Nationale, 1998. 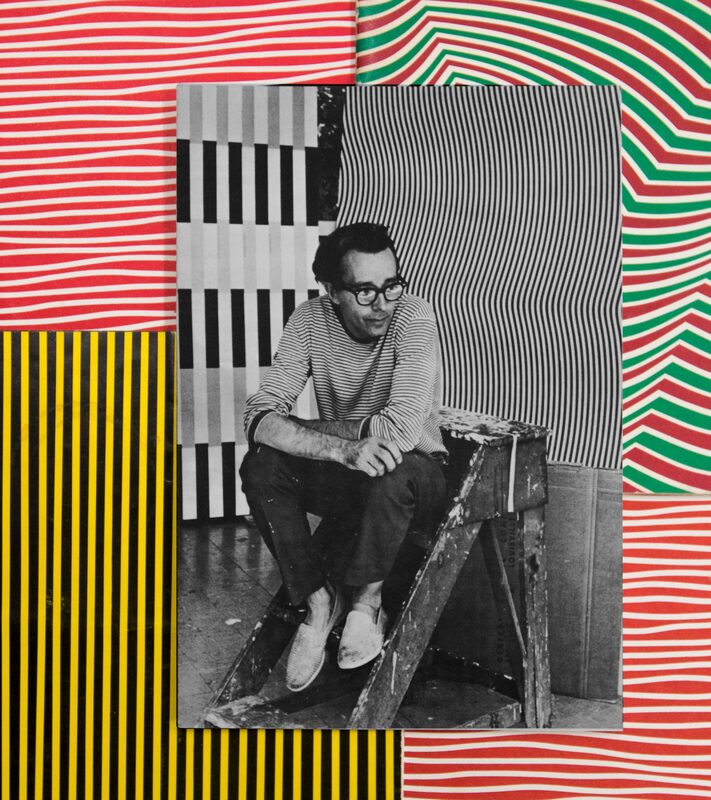 Marcel Barbeau was initiated to culture and the arts when he was a student at the École du meuble. Not yet 20 years old, from a working-class family without much use for the arts, he was captivated by the teaching of Paul-Émile Borduas. He soon joined the students who gravitated around the master, and it was through this group, which would become known as the Automatists, that he discovered poetry, theatre, dance, music, and painting. Reacting to the rigid society in which they lived, the Automatists tried to find pure creative freedom through spontaneous, gestural art that drew on the unconscious. Barbeau was born as an artist through his adventure with the avant-garde, and his production would always be marked by that experience. In keeping with this early involvement and true to his solitary, timid personality, Barbeau remained a free and independent spirit. Although he was associated with different groups and art movements during his career, they were marginal to his production, as he always followed his own rules. The great diversity of his body of work, seen by some as eclecticism, is explained by his constant questioning of his acquired knowledge and his pressing need to be in the present. His artistic production, offering a clear and sensitive vision of his times, made him more than a witness: Canadian art history has elevated him to the rank of a true pioneer. This exhibition, designed around Barbeau’s works in the collection of the Musée d’art de Joliette, is concentrated on the creative period from 1958 to 1967. It was at this time, following the dissolution of the Automatists, that his production was oriented toward a new search for movement in painting. No longer the result of spontaneous actions and gestures, his work gave rise to hallucinatory visions in which mystery – which had been so dear to the Automatists – asked only to be unveiled. In 1958, when Marcel Barbeau was going through a period of deep soul-searching, a composer friend invited him to attend a lecture and concert by the German composer Karlheinz Stockhausen in Montréal. Stockhausen presented a number of new works, including excerpts from Gruppen. Barbeau had a revelation: the quality of this music, with its repetitive rhythms, vibratory effects, and electroacoustic sounds, struck his imagination. The importance of intuition and of “controlled randomness,” as well as the procedure of audio collage, which was central to the composer’s approach, fit with Barbeau’s artistic interests. When he returned to his studio, he created a series of felt-pen drawings directly inspired by the concert. In these minimalist drawings, executed with great economy of gesture, red, black, and yellow lines clash, bounce off each other, or cross part of the surface and stop in a controlled randomness. Repetitive, straight, wavy, or vibrating, they sometimes create a rhythm and an oscillating movement that may suddenly vary in intensity. This production introduced a period of extremely intense and fertile exploration following which the artist created hundreds of drawings inspired by this concert. They marked an evolution in his artistic production: increasingly structured compositions and the presence of series of lines with diverging variations and structure were to characterize his optical works several years later. “To me, my paintings are as though formed of luminous vibrations, electromagnetic in nature. My last works intrigue me because the eye no longer has a landmark, a resting place. In these appears a new vibration which excites me.” Marcel Barbeau, catalogue de l’exposition 1+1=3 Retinal Perception, 1965. 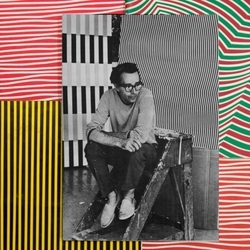 After several stays in Europe between 1962 and 1964, Marcel Barbeau moved to New York. It was in this luminous and colourful city in constant motion that his research on rhythm, seriality, and illusion, begun in 1958, was masterfully deployed. Although his interest in the scientific theories of retinal persistence and virtual images was observable even in his pre-optical black-and-white works, it reached its most accomplished and personal level in the works produced in New York. In effect, Barbeau remained faithful to his Automatist origins and to his constant need for independence and freedom. His optical works were not confined to the scientific theories popular in the op art movement – which sought to exploit the possibilities of the eye through optical illusions – but were notable for their imperfection and randomness. Beneath an apparent visual rigidity and illusory scientism were asymmetrical compositions with multiple deformations that made the artist’s production uniquely arbitrary and sensitive. Moreover, despite the controlled appearance and great formal precision of these works, their production was spontaneous. According to art historian Ninon Gauthier, an expert on Barbeau who had also been his companion, no preparatory drawings were executed: the artist laid on the strips of masking tape, and then the paint, instinctively and with great virtuosity. At most, he sometimes marked the canvas with pencil to make a guideline from which he developed his motif. The result is striking and distinguishes his works from those of the op art movement for their emotional, spontaneous, and poetic nature, harkening back to his artistic origins. Marcel Barbeau. Vibrato has been shown for the first time at the Musée d’art de Joliette, from October 1, 2017 to January 8, 2018.